Two phase 3 trials of a complement-inhibiting peptide have begun, assessing the safety and efficacy of the compound in the treatment of geographic atrophy (GA) in patients with age-related macular degeneration (AMD), according to the developer of the drug candidate. APL-2 (Apellis Pharmaceuticals) will be assessed in two 600-patient prospective, double-masked phase 3 trials, DERBY and OAKS. Patients will be randomly assigned to multiple intravitreal injections of APL-2 or sham injections, and the primary endpoint will be change in GA lesion size from baseline to month 12. Patients will continue to receive therapy for another 12 months after the primary endpoint. APL-2 met the 12-month primary endpoint in the phase 2 FILLY trial, demonstrating a 29% reduction in the rate of GA lesion growth with monthly injections in comparison with sham treatment. APL-2 is a synthetic cyclic peptide conjugated to a polymer. It binds specifically to C3 and C3b, blocking all three pathways of complement activation, according to Apellis. An RNA-based gene therapy demonstrated “rapid and sustained improvement” in patients with Leber congenital amaurosis 10 (LCA10), the most frequent form of the hereditary disease, according to the therapy’s developer. After a planned interim analysis in a phase 1/2 trial of QR-110 (ProQR Therapeutics), the trial was halted, and the company said it plans to progress to a pivotal phase 2/3 trial. Results of the interim analysis were presented in September at the Retinal Degeneration 2018 meeting in Killarney, Ireland, by Artur Cideciyan, PhD, of Scheie Eye Institute in Philadelphia. LCA10 is caused by mutations in the CEP290 gene, of which the p.Cys998X mutation is the most common. The trial enrolled patients with that mutation, most of whom demonstrated improvements in VA and performance on a mobility course after receiving treatment. Improvements in visual function were observed as early as 2 months after treatment and were maximal and stable by 3 months, according to ProQR. The therapy was well tolerated, with no serious adverse events reported. These results are the first human data to evaluate the clinical utility of RNA-based therapeutics in a human photoreceptor disease, according to a press release from the company. Pending discussions with the US FDA, a phase 2/3 trial to be called ILLUMINATE is expected to begin in the first half of 2019, the company said, enrolling patients at centers in North America and Europe. A phase 1 trial of an antibody-polymer conjugate for treatment of retinal diseases has completed enrollment, according to the developer of the compound. The safety and tolerability study will evaluate KSI-301 (Kodiak Sciences), which the company calls an intravitreally administered anti-VEGF biological agent with an extended durability profile, in patients with diabetic macular edema (DME). 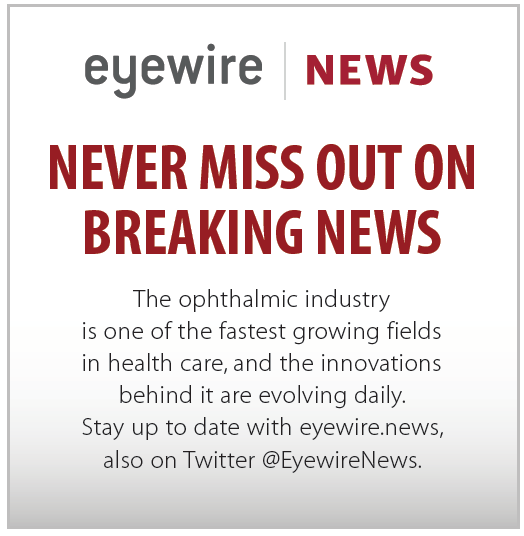 The FDA has accepted a supplemental biologics license application for aflibercept (Eylea, Regeneron) for treatment of diabetic retinopathy (DR), according to a press release from the company. The target date for the FDA decision on the application is in May of next year. The application is based on results of the phase 3 PANORAMA trial evaluating aflibercept in patients with moderately severe to severe nonproliferative DR. Positive 6-month top-line results were announced in March, and 1-year results are expected to be announced later this year, according to Regeneron. The António Champalimaud Vision Award (worth 1 million euros/$1.17 million) will be shared by the teams responsible for the development of the first gene therapy for an inherited human disease and will recognize the work of Jean Bennett, MD, PhD, and Albert M. Maguire, MD; Robin Ali, PhD, and James Bainbridge MD, PhD; Samuel G. Jacobson, MD, PhD, and William W. Hauswirth, PhD; and Michael Redmond, PhD. Heidelberg Engineering recently announced that it has received FDA clearance for its OCT Angiography (OCTA) module, which is now available for new and existing Spectralis upgradeable diagnostic imaging devices. The artificial intelligence (AI) company Visulytix is deploying its eye disease screening support tool, Pegasus, on the Orbis Flying Eye Hospital, according to a press release from Visulytix. This will mark the first use of the technology, which is expected to receive the CE Mark in Europe in the near future and to be submitted for FDA approval within 6 months, the company said. When it becomes commercially available, the screening test is expected to cost approximately $5 per patient, but on the Orbis flights it will be offered without charge. Pegasus uses AI to screen for common eye diseases including DR, AMD, and glaucoma. The Pegasus AI system analyzes images of the back of the eye taken with any standard retinal camera or even a mobile phone. Images are sent through Cybersight to a cloud service, and the Visulytix AI system returns a report to Cybersight in just 8 seconds with analysis of the retina image, according to the company. The service will be available through Cybersight, Orbis’s telemedicine program, which allows doctors in low-resource countries to request a second opinion on complex cases from Orbis’s network of international ophthalmology experts. An excessive dose of the erectile dysfunction drug sildenafil citrate was associated with persistent retinal toxicity that resulted in a change in a patient’s color perception, according to a recently published case report.1 The patient’s symptoms and structural changes to photoreceptors persisted for several months, the investigators reported. Visual disturbances can occur after use of sildenafil at normal doses, but they generally resolve within 24 hours. The 31-year-old patient had taken “much more” than the recommended dose (50 mg) of a liquid formulation of sildenafil that he bought over the internet, according to a press release from Mount Sinai Health System.2 He presented at an urgent care clinic complaining of red-tinted vision in both eyes that had not gone away for 2 days. Using adaptive optics, OCT, and electroretinography, the researchers identified cone photoreceptor damage. 1. Yanoga F, Gentile RC, Chui TYP, et al. 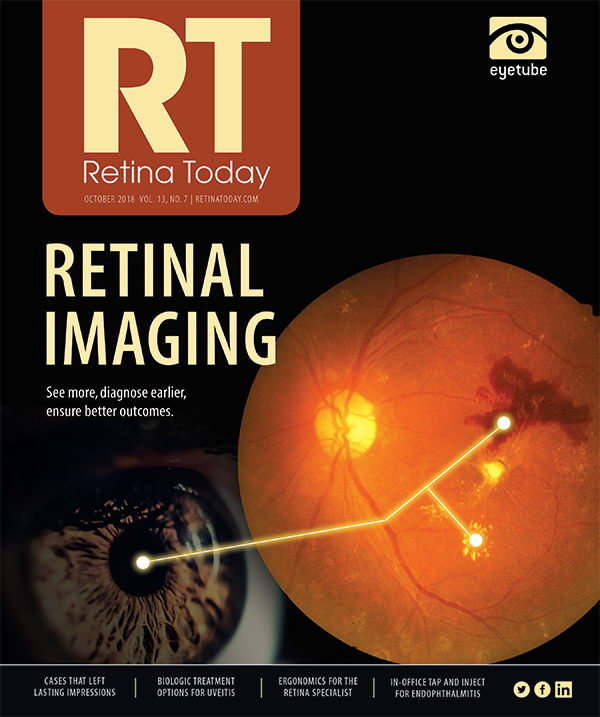 Sildenafil citrate induced retinal toxicity—electroretinogram, optical coherence tomography, and adaptive optics findings. Retin Cases Brief Rep. 2018;12(Suppl 1):S33-S40. 2. Irreversible damage to color vision is linked to a popular erectile dysfunction drug, Mount Sinai researchers reveal [press release]. October 1, 2018. Mount Sinai Health System. Based on the favorable benefit-risk profile seen in the phase 3 RAINBOW study of ranibizumab (Lucentis, Genentech) versus laser surgery in premature infants with retinopathy of prematurity (ROP), Novartis plans to file for a new indication for ranibizumab for the treatment of ROP. The study reportedly marginally missed statistical significance for the primary endpoint (P = .0254, as opposed to the significance level of P = .025), but Novartis nevertheless deemed the difference in treatment success between the ranibizumab 0.2 mg and 0.1 mg groups compared with laser surgery (80%, 75%, and 66.2%, respectively) to be clinically relevant. After its proposed spinoff from Novartis, expected to be completed in 2019, Alcon will move its global headquarters to Geneva, Switzerland, according to a press release from the Swiss parent company. The new global headquarters will be the primary location for Alcon’s senior corporate leaders and other corporate functions. Alcon’s current global divisional headquarters in Fort Worth, Texas, will remain a major operational, commercial, and innovation hub for the proposed standalone company, according to Novartis. Alcon corporate employees will begin moving to the new location in 2019. Although details are not final, up to 700 employees could be located in Switzerland after the spinoff. Alcon’s regional office for Europe, the Middle East, and Africa, is already located in Geneva, where the new global headquarters will be sited. Alcon will be incorporated in Switzerland and will be listed on the SIX Swiss Exchange and the New York Stock Exchange. Oxurion, formerly ThromboGenics, has enrolled the first patient in a phase 2 open-label multicenter study evaluating the efficacy and safety of intravitreal THR-317, an anti–human placental growth factor antibody, for the treatment of macular telangiectasia type 1 (MacTel 1). The study plans to enroll 10 patients with macular edema caused by MacTel 1, each of whom will receive three intravitreal THR-317 injections over a period of 2 months. Efficacy and safety will be assessed via functional and anatomic endpoints.